These Tupperware Sale Items End March 14th! This 10 piece Tupperware Wonderlier Bowl Set will ending on March 14th! There's also many more items that are ending on this day as well. If you are looking to make money or save money on your Tupperware purchases why not consider joining Tupperware? You would receive a 25% - 35% discount on your own orders, including sale items! Learn more about joining Tupperware here! Please visit my Tupperware website to see everything that Tupperware has available this month! Tupperware 10 piece Bowl Sale PLUS get the Tupperwave Stack Cooker for $25! 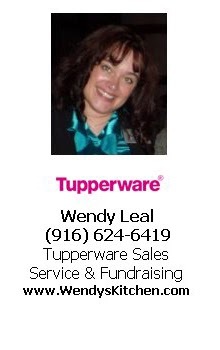 Call Wendy @ 916-624-6419 with your order of $75.00 or more and receive FREE Shipping* on your Tupperware Order! *Excludes online exclusive offers. Who do you know that needs a second income? Join my Tupperware team and make money, make friends and make your dreams come true! When you join my team by March 14th you can add the Tupperwave Stack Cooker to your kit for only $25.00! It is normally $114.00! This is one of my most favorite Tupperware products because you can cook an entire 3 course meal in the microwave in minutes and it tastes great! It will also save on your power bill as microwave cooking costs much less than conventional methods. Check out what else you can earn when you join Tupperware! View the Confident Start Program flyer! Would you like a new iPad by Easter? 15 average parties gets you there!